Android Ice Cream Sandwich is well supported to run in VirtualBox with Buildroid VM image. 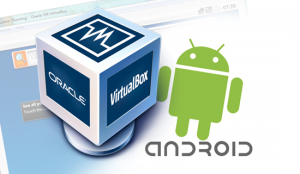 There are three types of Buildroid VirtualBox images for phone, tablet, and tablet with phone capabilities. These images do not come with Android Market/Google Play and other Google apps. To spice up your Android VM with more Android apps, we can first install Market/Play app to the Android VM with the help of Android Debug Bridge (adb). There is a Buildroid "for testing purpose only" VM image available for download which includes Market/Play app and other Google apps. Reading the description it is for testing purpose only, I'm not sure how stable it is. 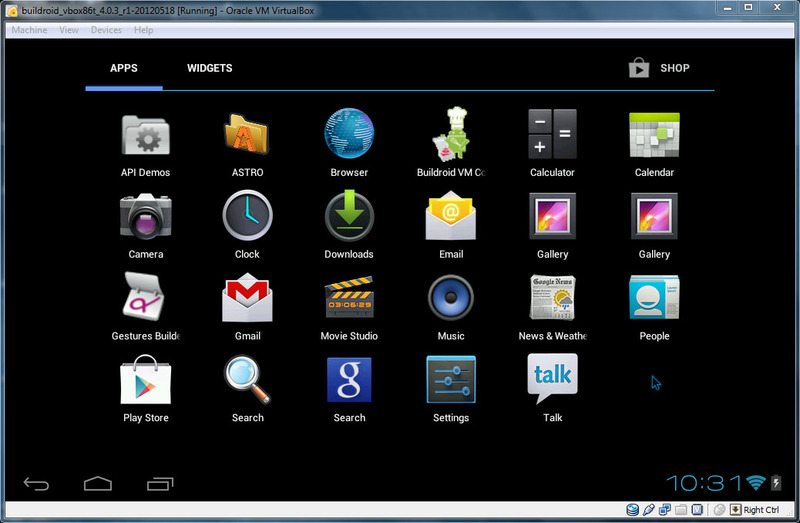 If you use the normal Buildroid VM image, here's how to install Market/Play app to Android Virtual Machine. Assume you have already setup your Android Virtual Machine. Guide to setup Android in VirtualBox. 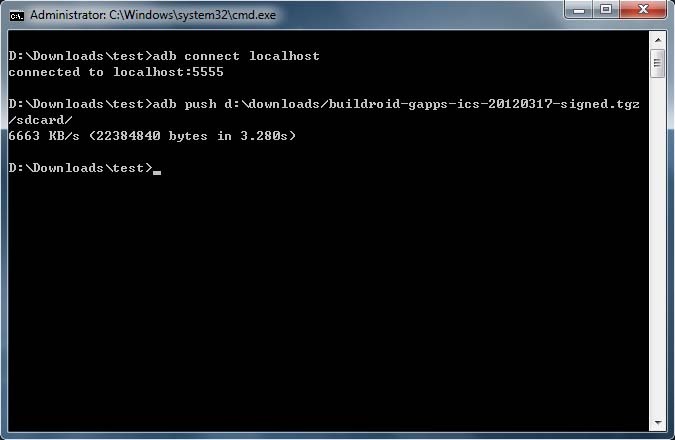 You can get the adb (Android Debug Bridge) utility here. Go to Buildroid VM's Settings > Network. 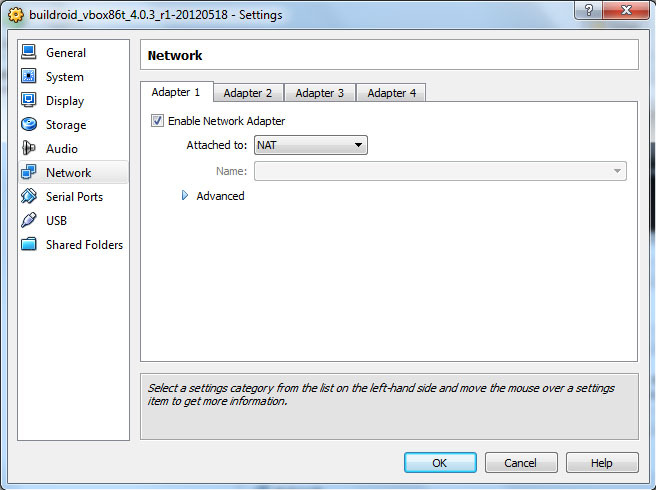 Under Adapter 1 tab, choose Attached to: NAT. Expand Advanced and click Port Forwarding button. Click Insert new rule button, input 5555 into Host Port and Guest Port. Click OKs to return to VirtualBox. If you have multiple virtual machines and want to connect to each of them, you could increment the host port for each of the forwarding rules while keeping the same guest port for each device (eg. 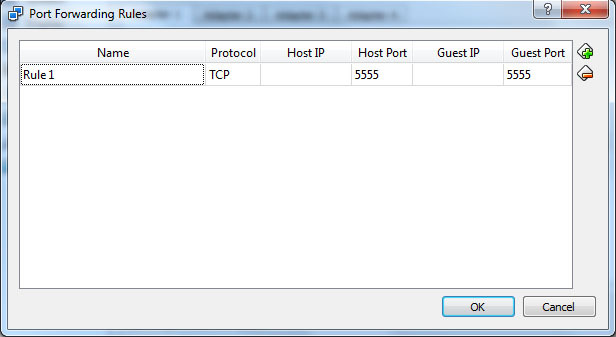 host port 5556, guest port 5555 on a second virtual machine). Open Buildroid VM Configuration, you should see the IP address under IP management to confirm it is working. If there is no IP address showing, adb will not be able to connect your Auildroid VM. Press and hold Shift key + right click on the folder which contains adb.exe. Click Open command window here. Your Android VM will reboot automatically and new Google apps including Play Store app are installed. Can I use the AVD Manager? I don't think so. The image is in ova file extension which is supported by the programs like VirtualBox and VMware. Hi, I suspect it doesn't support AMD processor. I could be wrong. Do you have a Intel computer to test it? i got the same thing. am going to use something like airdroid to extract apks and upload to dropbox, then insall on vm. you can also use the unstable one, which is ok but does sometimes fail. good luck! Thanks, it is very helpful. Quite a lot of people getting "error: more then one device and emulator" message. I got this same error but i had success by killing the adb server using the command "adb kill-server" minus the quotes and repeating the steps without using the connect to host command. i believe it connects automatically when you invoke adb so by using the connect to host first you are creating 2 instances. Thus the more than one device error. "adb devices" minus the quotes and hitting enter. Then continue with the above procedure. I'm no expert but this worked for me. i hope it helps. Thanks cadam. Somehow adb is already connected to Android VM by itself. I don't know what's causing this. So we have to always check the connected devices first with adb devices. It couldn't find the .tgz archive to extract inside your Android sdcard directory. Try again send the .tgz archive with the command below. I tried several times to push the directory. It succeeded fine but still getting the error - tar not found? HELP!! I repeated all steps and installed the Google apps successfully. Are you sure the .tgz file is in the /sdcard directory? If you still can't extract it, you can use this Android 4.0.4 image file already bundled with Google apps. This is a easier way. tgz works fine for me. I was facing the same problem as you are having. This is my solution. -Enter "adb kill-server" and connect your Android VM again. Always perform the "adb devices" to check how many instances are currently connected with adb tool because sometimes adb will connect with more than one emulator/device instances after entering "adb connect localhost" for some reason. Since the adb is an .exe file, how would this work on a Mac? Hi Mo, I've uploaded adb for Mac version. You can download it here. Are there any other extraction programs? All standard linux commands seem to work fine, but tar is not there. i get an error that adb is not recognized as an internal or external server what should i do ..??????? I have installed Android X86 on a USB flash drive, it is working fine except Bluetooth is not working and i can not able to install any application from Google Play , it says that your device is not compatible. any idea how can use bluetooth and install APPs. tar : not found ...??? When I tried installing WeChat, it said "Your device isn't compatible with this version." this error happened a lot, and when is saying push adb (file) it says android debug bridge version 1.0.29. what to do? Hello, I made it to step 15 when I tried to enter "adb shell" and got a message of "error: device is offline" I noticed in step 10 you mentioned IP configuration, however, I am not sure where I would look for the IP config and address or where I should place it. Please help, Thanks!